So far Jim Heumann has created 91 blog entries. The annual end-of-the-year awards party and dinner will be held at the Pope Marine Building at 6pm on Thursday 11/15 at 6pm. As in the past it will be a potluck dinner – please bring a main and a side dish to share. Beer and wine will be available and there will be a slideshow. 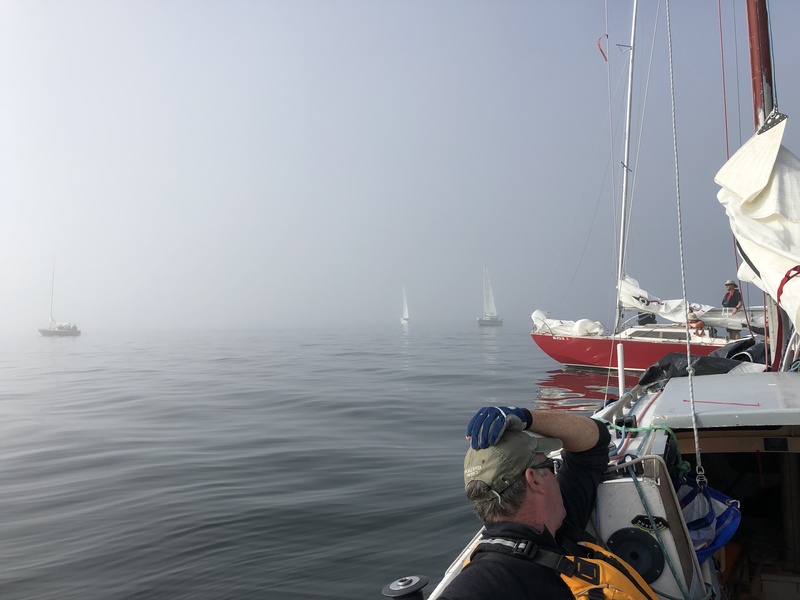 This is always a fun event that provides an opportunity for each crew to relive their victories and decry their losses, to retell the stores of crashes and near misses, and to get excited for the new season starting in the spring of 2019. The Pope Marine Building is located on the dock at the corner of Water and Madison Streets in Port Townsend (near the Cotton Building where the party was last year). 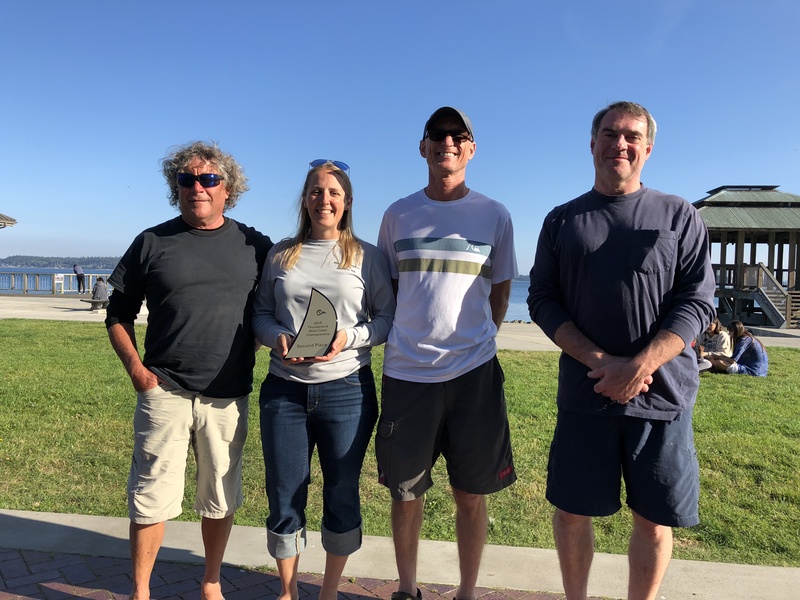 Steve, Stig, Simon, and John dominated the regatta with four firsts, three seconds, and one fourth place finish. And in late breaking news Magic Bus has been declared the third place winner. They tied with Invader in points and there was some confusion as to the tie breaking criteria, which as now been cleared up. 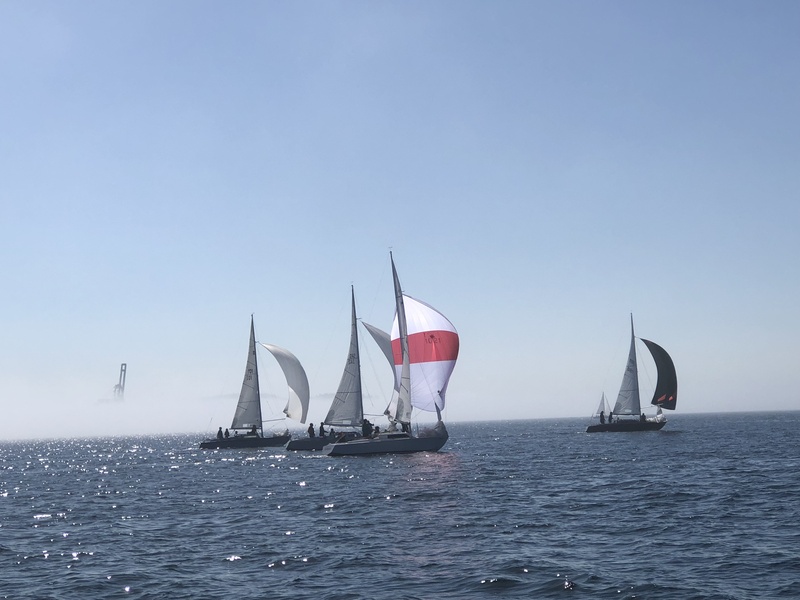 It was an excellent two days of racing with better than predicted winds and good weather (after the fog burned off). 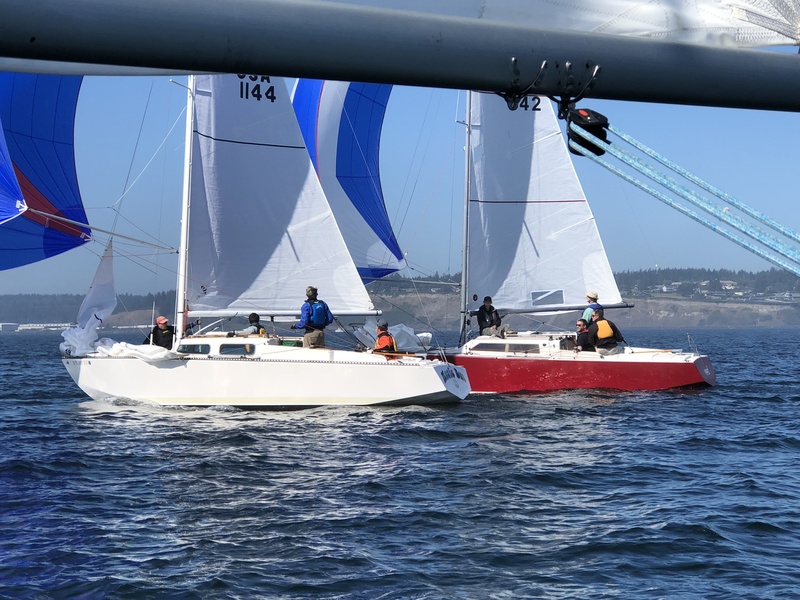 Labor Day will see the west coast Thunderbird fleet back in Port Townsend Bay for a fabulous two days of racing. Don’t miss out. Sign up, and get the Notice of Race, on-line at the Regatta Network page for the event. 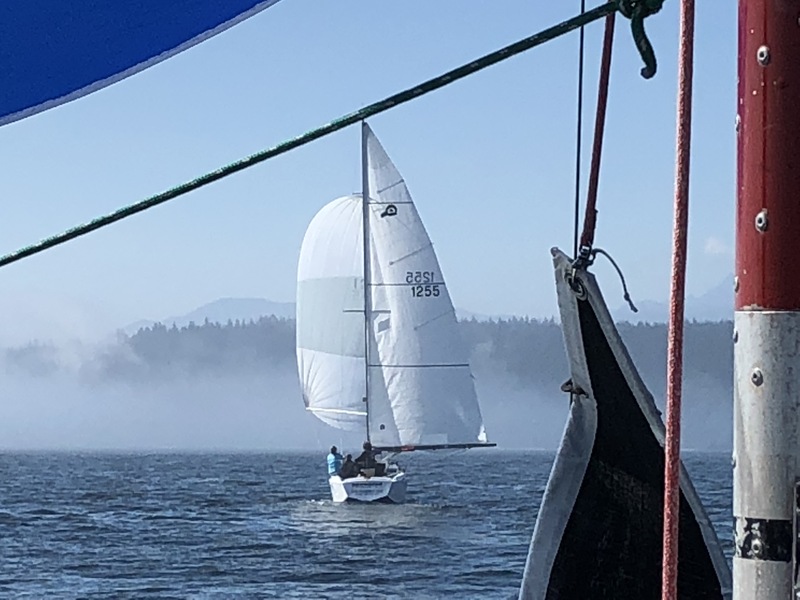 The Port Townsend Yacht Club is sponsoring a boat parade and blessing of the fleet to celebrate the start of the boating season. Everyone is invited to participate. The parade begins around noon at city dock. You can find all the details at their web site. And don’t forget that leg one of the Port to Port race is this Saturday as well, starting at 2:30 (not 2:00). 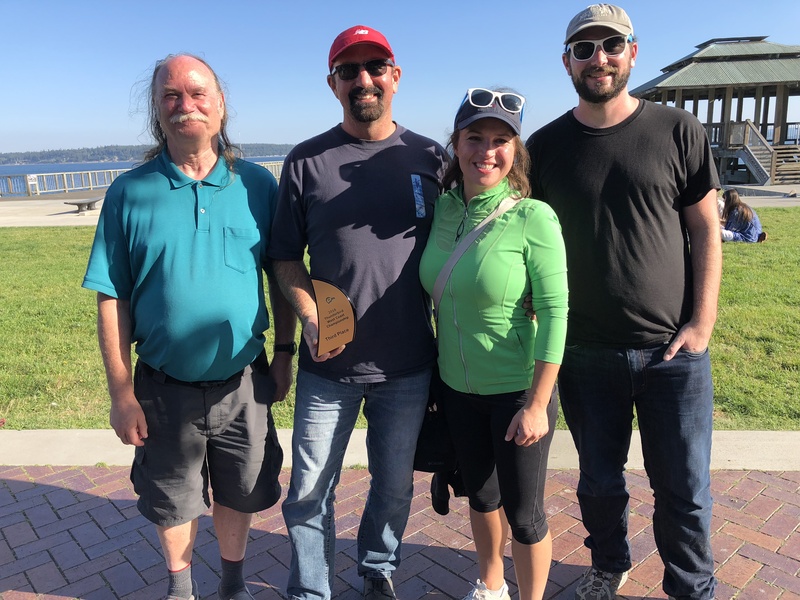 So you could join in the parade then race to Port Ludlow! Admiral Ship Supply has donated $500 to help pay for the costs associated with maintaining PTSA’s race marks. Race mark maintenance is one of our biggest expenses so this donation is especially appreciated. When you shop at Admiral please let them know you appreciate the donation. It’s almost time to start racing. But first it’s party time. All the information you need is on the poster below. We are looking forward to seeing everyone and having a fun start to the racing season. 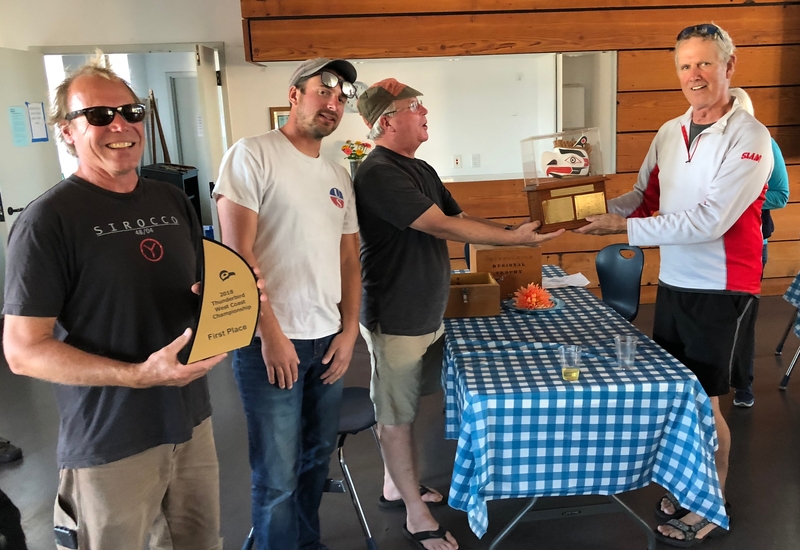 If you know of the whereabouts of these boats or trophies please contact Robin Mills (robin@nwmaritime.org).